Wal-Mart has suddenly announced it is shuttering five stores from Florida to California for a six-month period due to what the company claims are “plumbing problems.” Nobody except the ultra-gullible really believes the Wal-Mart cover story, however. “The retail chain announced Monday that five stores are shutting down – one in Brandon, two in Texas, one in Oklahoma and one in California – due to clogging and drainage problems,” reports News Channel 8 in Florida. The sudden closures were only announced five hours before they took place, thrusting thousands of employees out of work with little or no notice. Seriously? Does anybody believe the official explanation? On Tuesday, 8 On Your Side stopped by the Walmart, and found no plumber in sight at the Brandon Supercenter, just hundreds of confused and concerned customers. Reason #1) Wal-Mart apparently wants us to believe that it is impossible to repair plumbing problems without shutting down your business for six months. This idea is totally insane: plumbers repair catastrophic problems all day, every day, while businesses remain open everywhere. Reason #2) If you were going to have a commercial plumbing repair team tackle real problems across your retail stores, you’d schedule their closures sequentially (one after the other) so that the same team of professional plumbers could tackle them one at a time. You wouldn’t close all five stores simultaneously and suddenly, without notice. Reason #3) Any plumbing problem so catastrophic that it needed the stores to be closed would require municipal permits to address. Yet no permits exist. “According to Hillsborough County, Walmart didn’t notify the county’s permit department either. 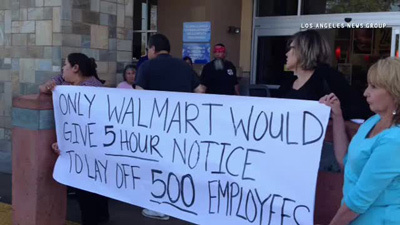 No one there has heard a peep from Walmart about any major repairs.” – Channel 8 News. Reason #4) The closure of just one Wal-Mart store would cause revenue losses of hundreds of thousands of dollars a day. Across five stores, we’re talking millions of dollars each day, multiplied over six months. In addition, the entire existing inventory of food at those Wal-Mart stores is a total loss because it will largely expire over the next six months (Wal-Mart says it’s donating all the food on store shelves to local food banks). Does anyone seriously believe that Wal-Mart is going to sacrifice possibly $100+ million in revenues and inventory losses just to fix some plumbing problems? 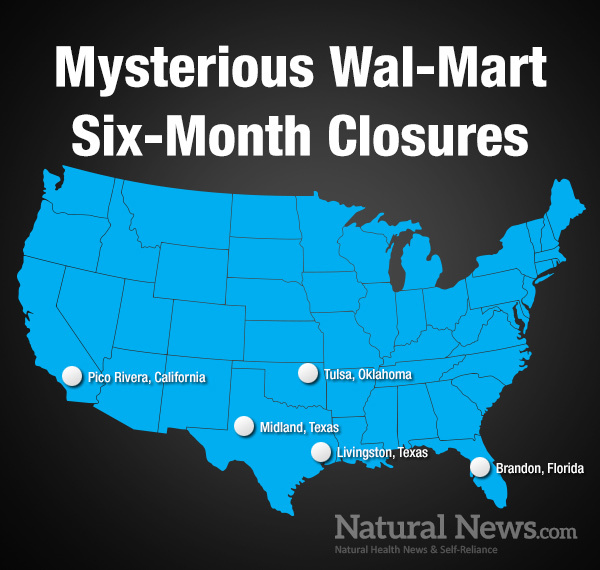 Why do YOU think Wal-Mart is suddenly closing five stores for six months? Is this really the world’s worst coincidence of catastrophic plumbing failures? Or is there something more to this story? Why wont Wal-Mart ice cream bars melt in 100 degree heat?